Lovely accommodation great location. Only thing needed was a hair dryer but if you bring your own accommodation was great. We are a return visitors to the Bandama complex, our first visit was mid last year where we booked both plots 14 & 15 (both owned/managed by Ross & Angela) as was our first large family holiday including the our children's grandparents, we loved it! Spotless properties in a quiet area yet so close to everything you need and less than a five minute walk to the beach. Our second being this February however in plot 15. This is plot 14 which has been fully refurbished to a very high standard, we were actually quite surprised on arrival giving what the rental cost as everything was near enough brand new. Our eldest loved the hammock!! The complex is so peaceful with all other holiday makers or residents being so welcoming. Two pools, one of which being a child's pool which was ideal for the little one to have a dip. You have a supermarket literally across the road and down a few steps, the fresh bread and pastries each morning definitely made us a few pounds heavier heading home. There are also a number of little restaurants next to the supermarket which were convenient for the whole family on our first night as arrived late evening. 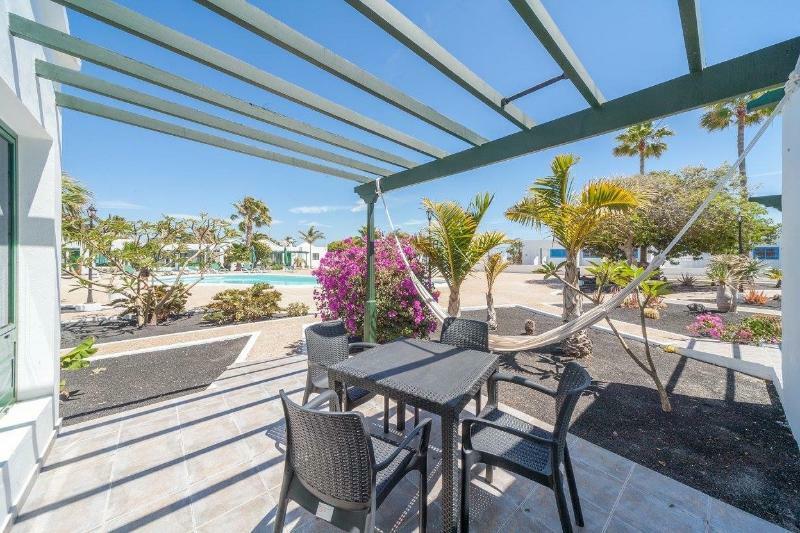 All in all we would thoroughly recommend this property and for what it costs it's worth 5 stars every time as we have paid a lot more for a lot less in lanzarote being regular visitors, it certainly has anything to complain about!